The Munich Security Conference is an annual event bringing together security experts and politicians, military leaders and the defense industry from around the world. Over the past five decades, the Munich Security Conference (MSC) has become a key annual gathering for the international "strategic community." It is dedicated to promoting peaceful conflict resolution and international cooperation and has a special focus on trans-Atlantic partnership. The conference was founded, and is managed to this day, by former German diplomat Wolfgang Ischinger. This page is a collection of DW content on the annual conference in Bavaria. 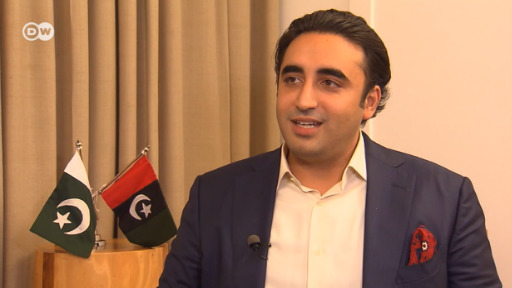 In a DW interview at the Munich Security Conference Bilawal Bhutto Zardari, Pakistani politician and son of late PM Benazir Bhutto, urged more engagement between Islamabad and New Delhi to resolve the Kashmir dispute. The world order is broken. Who is going to pick up the pieces? That was the key question hanging over the Munich Security Conference. Angela Merkel provided the answer but it's not the whole story, says Christian Trippe. With a likely US withdrawal from Afghanistan and Washington's peace talks with the Taliban, one expected the protracted conflict to dominate the summit. But that was not the case. Shamil Shams reports from Munich.